If you're a teenager, driver's training is one of the first requirements you must satisfy before applying for a driver's license with the New Jersey Motor Vehicle Commission (MVC). Driver's education will not only prepare you for your driving skills test, but it will also teach you safe driving habits and help you to become a responsible, intelligent driver. 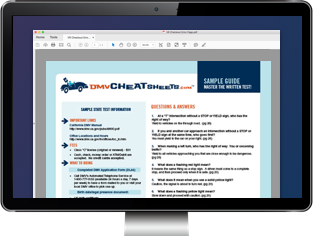 On this page you'll find information about New Jersey's driver's education requirements, and how you can get on your way to obtaining your first driver's license. When do you take Driver's Ed in New Jersey? If you're a new driver, you must satisfy the requirements of New Jersey DMV's Graduated Driver Licensing (GDL) program before you can receive an unrestricted driver's license. The requirements differ depending on your age. If you are 16 years old, you must complete a driver's training program to satisfy the student learner's permit phase of the program. While a Driver's Ed course is not required for everyone, new drivers of any age can benefit from completing a course. Interested drivers can choose from both classroom and online driver's education courses. NOTE: If you are a new resident younger than 21 years old and are transferring your out-of-state driver's license, the New Jersey Motor Vehicle Commission GDL rules will still apply to you. How Long is a New Jersey Driver's Ed Course? Your driver's training program must consist of a minimum of 6 hours of behind-the-wheel practice with a licensed driving instructor. How to properly operate a vehicle. Defensive driving and hazard prevention maneuvers. New Jersey state traffic laws and regulations. Contact the Driver's Ed course providers directly to get specific information about prices and scheduling. Once you have enrolled in a driver's education course, you can apply for your New Jersey learner's permit. Once you turn 16 years old and have signed up for a driver's training program, visit your local New Jersey MVC office with your course instructor. Study the MVC Driver Manual and pass the knowledge test. Provide proof of enrollment in your New Jersey driver's training course. Provide a letter of consent signed by your parent or legal guardian. Pay the $10 student learner's permit fee. After you complete the steps above, you'll receive your learner's permit and you can begin your driver's training. For more details, visit our New Jersey Driver's Permit page. While your high school may teach driver's education in the classroom, the New Jersey DMV only requires completion of an in-car driver's training program. In-car driver's training is provided by private, licensed businesses. The NJ MVC provides a complete list of course providers on its website. NOTE: If your high school doesn't offer classroom Driver's Ed, consider enrolling in an online course. For parents: New Jersey Teen Driving. For teens: U Got Brains? After Driver's Education – What's Next? Have your learner's permit validated. Have 6 months of practice supervised driving while on your learner's permit. You must display a GDL decal on the car when you are driving. NOTE: All drivers under 21 years old must hold their learner's permit for 6 months before taking a road test.